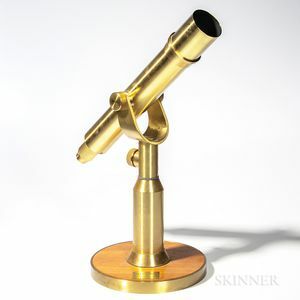 Celestron Brass Refractor Telescope, 20th century, 50 x 80 mm telescope tilts and spins on a brass post and circular wooden base, lg. 26, overall ht. 20 in.